Man, it took a long time for Eric Clapton to become cool again. Since the mid-sixties when the words “Clapton is God” were daubed on London walls in reference to the then Bluesbreakers’ member’s skills, the man born Eric Patrick Clapton in 1945 has been considered a master of the guitar and one of the most important axe-slingers to have stepped onto a stage. However, there was a patch after around 1970 when Layla and Other Assorted Love Songs came out that the quality of his output went decidedly downhill. After the epic brilliance of his work with Cream and Derek and the Dominos, he began the seventies crushed by the death of Jimi Hendrix, before going on to have a string of affairs, make some unsavoury and racist remarks onstage while drunk, take a poorly misguided stab at reggae, and be labelled a dinosaur by a punk movement hell-bent on destroying the old guard. After several more patchy albums throughout the eighties and the death of his four year-old son in 1991, he managed to reinvent himself with this classic entry into the MTV Unplugged series, which is perhaps bettered only by Nirvana’s effort, and he did it without really seeming to try that hard; maybe that’s what makes it so good. Reinvention is most definitely the word to describe what is happening on this re-released, expanded edition of the original 1992 recording, as the finely executed ‘Lonely Stranger’ benefits from a softer approach, and the classic ‘Layla’ is heavily reworked, with Clapton challenging the English audience to “try to spot this one” before a heavy roar erupts as the lyrics kick in. Elsewhere, Clapton takes his eight-piece band through a series of old blues and rock ‘n’ roll numbers including Jimmy Cox’s Depression-era classic ‘Nobody Knows You When You’re Down and Out’, the brilliant Ellas Otha Bates’s (a.k.a. Bo Diddley’s) ‘Before You Accuse Me’, and Big Bill Broonzy’s ‘Hey Hey’. But perhaps most special is Clapton’s tribute to his deceased son, ‘Tears In Heaven’; if there’s any song that will give you a lump in your throat, it’s this one. The fact that it was written and performed when the emotional wounds of his son’s death were still so prominent make it all the more heart-wrenching. With his mojo well and truly returned, Clapton’s output would take a sharp upwards turn from here on. Extras here include six previously unreleased tracks (remastered), and an optional album and concert DVD option, which is worth getting just to see how smoothly the old master pulls it off. It’s been more than twenty years since this album heralded somewhat of a return for Clapton, and this re-release is a timely reminder of its – and his – brilliance. 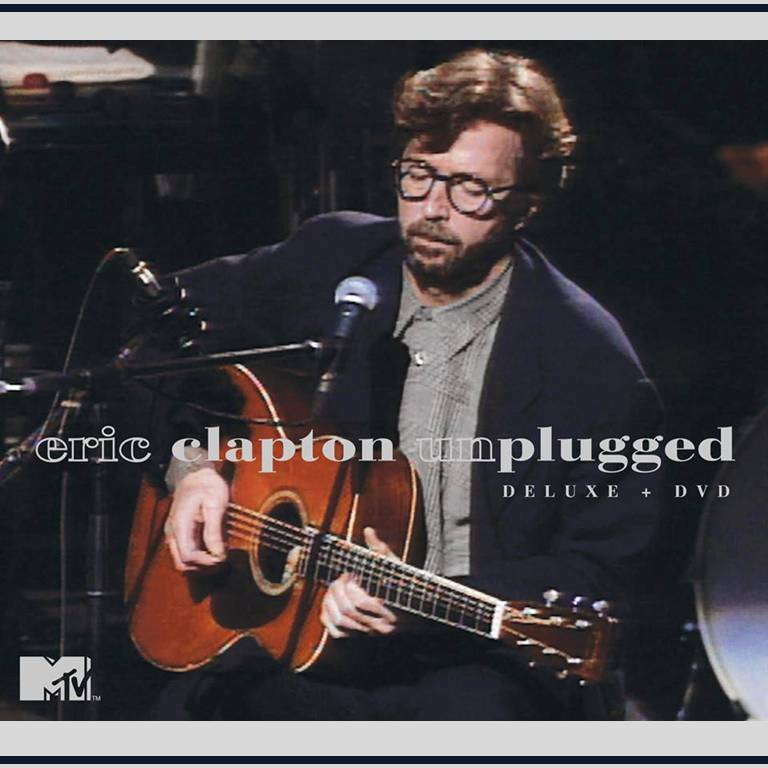 UNPLUGGED: DELUXE EDITION BY ERIC CLAPTON IS OUT NOW.